Political cohesion, mutual support and respect, and consensus in national decision making is just likely a monsoon story of think tank to warm the cold tea of Table-Talk but out of the bluethe urgency of nation building is a Rare-Bird in Bangladesh.Recently Ministry of Home Affairs of Bangladesh hasdeveloped a draft citizenship act-2016amending the previous citizenship act-1951, temporarily citizenship order 1972 and new citizenship rules 1978rules, that already has gotten final approval by the Cabinet, a supreme Policy making forum, in 1 February 2016, and now it is waiting to be approved by in the parliament for final execution. But very unfortunately this law making process was done closely without arranging single civic consultation with multidimensional stakeholder, civil society or opposition parties.Even the draft law did not make available in the ministry website nor national daily. Ostensibly, it also contravenes several fundamental principles of jurisprudence. Making or amending any law in line with changing environment is a routine task of a legitimate government as such the Bangladesh citizenship law was needed to review. Because it was first made during the Pakistan period where many affairs are obscure and lacks of a complete comprehensive jurisprudences. So it is certainly getting urgent to amend the 65 years old citizenship act of 1951 to help future with modern global perspective citizens in the complex immigration world. But this law and policy making process often take place in closed door where people scared of its transparency consequentiallythe rest of outdoor political parties do not enjoy sense of belonging ness. Although Bangladesh is a democratic country and where every citizens has right to expect that such a law making process is open, translucent and participatory, so that they get an opportunity to provide inputs in its framing. This draft act-2016 (consisted of six chapters and 28 sections) contains several controversial articles that escalating disappointment. Interestingly the law is widely denounced by elite classes of the society elsewhere main opposition party and general masses are customarily nonchalant. Under the current laws, an adult and active citizen of Bangladesh can renounce his or hercitizenship. But the draft Actrecommends that a Bangladeshi national can also be a citizen of any other country – excluding for the SAARC counties and Myanmar – untils/he has not abdicate his loyalty to Bangladesh during taking pledge as the citizen of that country. According to the ACT the Rohingya refuges, the Myanmar national, living in Bangladesh and married to Bangladeshi nationals, and their offspring will be backpedaled to be citizen of Bangladesh. Elsewhere many Pakistani are living in Bangladesh for last four decades sincewar-1971, known as Stranded Pakistani, who holds Pakistani passport but Pakistan reluctant to take them back from Pakistan elsewhere Bangladeshalso unwillingto give Bangladeshi citizenship consequentially they have no citizenship in the earth and depriving from minimum human rights. Regarding citizenship by birth, the new law recommends that anindividual, born in Bangladesh, can only get citizenship by birth, if both of his or her parents are Bangladeshi nationals. Furthermore, a person will have citizenship cancelled if he or she stays outside Bangladesh for more than 10 years at a stretch since the day of getting the citizenship. Barrister NajrulKhasru, Tribunal Judge in England, think Under this article many Bangladeshi national, who live in Malaysia, Middle East and some another countries illegally, for earning wage and cannot returnto Bangladesh due to avoiding living country’s legal action, wouldlose their Bangladeshi citizenship. Under Article 5(3) a person will be repudiated citizenship by ancestry “if individual’s father or mother joins any military or quasi-military or any special force and involves or engaged in war against Bangladesh or denied the existence of Bangladesh or is engaged in any activity against Bangladesh”. This escalates varioussubjects of concern. “Engaging in activities against Bangladesh” was a vague and incomplete term and asked who would define and identify such acts in stripping someone of their citizenship. Without specific category of anti-Bangladesh activities the article can be malpractices against any suspected people or can be used as a tool to oppress the opposition for critic. Unfortunately the draft, if enacted in its current form, may result in denying citizenship to ethnic rivalleaders from the Chittagong Hill Tracts (CHT) who was once engaged in conflict for regional autonomy orseparatist movement. According to this draft Act if a Bangladeshi conjugal gives birth to a child in a foreign country, and they do not register kid’s birth with the Bangladesh mission within two years of its birth, the child will not be given Bangladeshi citizenship.This is another law which would make kids suffer for no mistake of their own. Bangladeshi nationals are living across the globe, as migrants, and many of them aresignificantly contributing in their fields of work, including as members of parliament, judges, and government officials.But it seems like we are preceding a law to create new hitches for them in retaining their ties with Bangladesh as citizens, rather than consolidating those. Unfortunately no mentionable statistics have had by the government of Bangladesh as to how many of its birth-citizens and their offspring have attained citizenships of another state. It is assumed that most of dual citizenship holder Bangladeshis is lived in the United Kingdom, the USA, Canada, and Australia. Many of them are lived in Middle Eastern and Western Europe including the Scandinavian countries. Dr Zafrullah Chowdhury, the founder of Gonoshasthaya Kendra think according to the draft Supreme Court judges, lawmakers, persons holding constitutional posts, civil servants and members of the law enforcing forces would not get dual citizenship. Any foreign citizengainingBangladeshi citizenship cannot contest the national or local elections, be president, an SC judge or a civilservice or composite any political party, according to the draft. Many top level civil service and the Supreme Court judiciary would be consideredunder this section and have to lose their authoritative position. In addition the act says any Bangladeshis nationalslivingin all the countries but with what having diplomatic relations with Bangladesh would be eligible for the dual citizenship. But any Bangladeshi bornindividuals’ living in such a country which were not recognized by Bangladesh or proclaim “banned” through Bangladesh government’s gazette notification would not be considered under the draft law.Very interestingly if passed in the parliament, the law would get into trouble even those who formulated it. Traditionally many politicians and business magnets as well as diplomats and their offspring contain dual citizenship so they would not be able to contest in elections and holing important position in the government. Traditionally Bangladeshi governments suffer from xenophobia and have narrow perspective to dual citizenship. However, in the past few decades with the development of liberal democracy, human rights, free market-economy and human mobility, agrowing number of republics have started to admit the idea of dual citizenship. Certainly, some countries have no hesitationeagle-eyed the economic benefit, started vigorouslyinspiring dual citizenship. According to the act-2016, a foreign national who marries a Bangladeshi can get citizenship fulfilling five conditions. Such as (a) s/he would have to live in Bangladesh for five years? (b) Who is not a citizen of any country “forbidden” by the Bangladesh Government? (c) his/her parents and grandparents are not engaged in a war against Bangladesh and are not the enemy force of a foreign country? (d)she/he does not live in Bangladesh illegally? 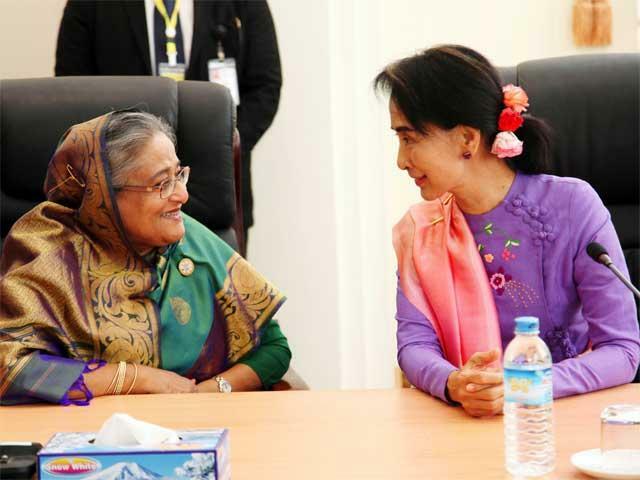 and (e) who is not a citizen of any country that has no diplomatic relations with Bangladesh. Conventionally “Winner takes all” is a common approach of previous all successive government of Bangladesh. for instance From parliament to cabinet, lawmaking forums to execution body, tender distributing, project implementation almost all significant position are hold by ruling party itself. Interestingly neither ruling party nor opposition party does share their policy proposal and reluctance to make participant from oppositions in national decision making. It is why perhaps the ruling party wishes to enjoy entire credit of any development. Although absolutely avoiding the oppositions, narrowing stakeholder’s participation, gainsaying democratic norms and enhancing individualized decision-making is endangering the possibility of success. Alongside showing respect to opposite opinion, tolerance to reproach, constructive criticism, participatory policy making for greater consensus is almost dark-moon in Bangladeshi politics. Political analysts think consensus building is not being possible due to political party’s atychiphobia and politician’s thick-skinned attitude. Unfortunately every government is overly criticized for following its conventional closed systems of policy making, shrinking mass engagement in governance as like totalitarian approach, tremendously bias to ruling party’s narrow political vision and lack of participation by stakeholders that ultimately deprived from sufficient information input, building synergy and popular acceptance by majority irrespecting race color, cast and creed. Thus, the Citizenship Law falls short of being a good law. Many of its articles are not only to the Constitution but also international treaties that Bangladesh has ratified. Some article also against the principle of natural justice. Indeed law, act and Policy are considered as important tools to ensure rule of law in a country. It also enhances the fair and predictable governance and smooth socio-economic development. Ministry of State affairs has formulated a bunch of acts and policies over the last few decades in order to response public problems but Unfortunately most of the law is over vituperated due to its conflicting objectives and ambiguity of rules and lack of consensus building. Elsewhere frequent chance into policies and reshaped it with ruling party’s ideological flavor has been a regular task of the ministry. The writer is Postgraduate student of Public Administration at University of Dhaka.